Whenever we report Facebook Advertising results, clients usually ask for some context as to whether their results are good or bad. Since there are a lot of different variables that go into Facebook Advertising performance, it's difficult to settle on any definitive benchmarks to aim for - even Facebook refuses to give an "official" average CPC, CTR or CPM (the closest you might get a rep to say is what their own personal experience has been). Luckily, a recent study of 256 U.S.-based Facebook Advertising campaigns, conducted by Wordstream, has provided some benchmarks to shoot for. And considering the amount of advertisers on Facebook as more than doubled over the last year or so, the more data you have the better. Here are the key findings from Wordstream's study. Click-through-rate (or CTR) is defined as the percentage of times people saw your ad and clicked a link. The metric is calculated as clicks divided by impressions. 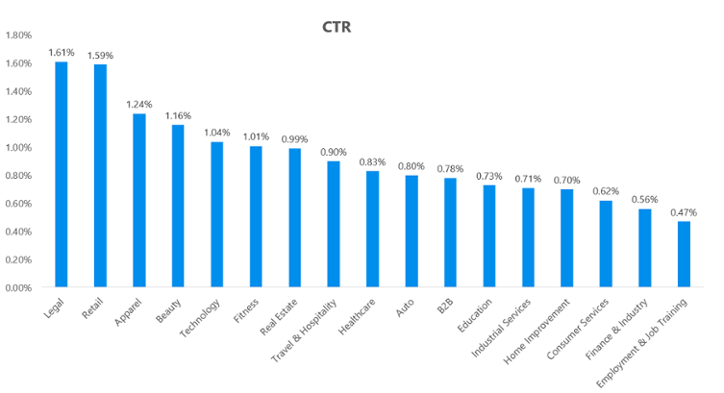 The average CTR for Facebook Ads across all industries in this study was 0.90%. Cost per click (or CPC) is the average cost per link click. It's calculated as the total amount spent divided by link clicks. 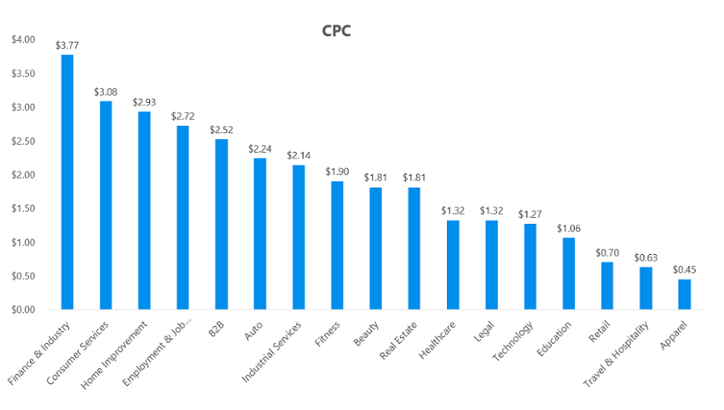 The average CPC for Facebook Ads across all industries in this studs was $1.72. Keep in mind, the above benchmarks have a ton of different variables - targeting, creative and budget will all heavily influence how your Facebook ad performs. Your goal should be to execute a cost-effective campaign which drives quality traffic to your website wthat converts. Try to keep your graphics bright and feature other people in the creative - Statistically users respond better to ads with images of people opposed to custom graphics. Avoid too much text - You get penalized for using too much text in your graphic, and sometimes your ad may not even get approved. Be picky with your targeting - The more specific your audience, the more efficiently your ad should run. Try to be as focused as possible. Keep your ad copy detailed but concise - Tease the user to click. Target News Feeds - You have many different placement options, but from our experience, the Desktop and Mobile News Feeds provide the most cost effective ad placements.